***Outstanding spacious townhouse style condo tastefully remodeled. Rare corner unit graced with an abundance of natural light from three directions! Enjoy sun-drenched living room with floor-to-ceiling window, gleaming wood floor and cozy fireplace. Elegant dining room with glass door to deck. Gourmet kitchen with ample cabinet space boasting granite counters, glass mosaic backsplash and stainless steel appliances. Glass door off kitchen opens to the second deck. Large master suite with walk-in closet plus an extra closet and updated bathroom. Serene, private guest bedroom has its own full bath. 1-car attached garage plus 1 assigned parking across from the unit. Convenient location near restaurants, Serramonte Shopping Center, Starbucks and public transport. 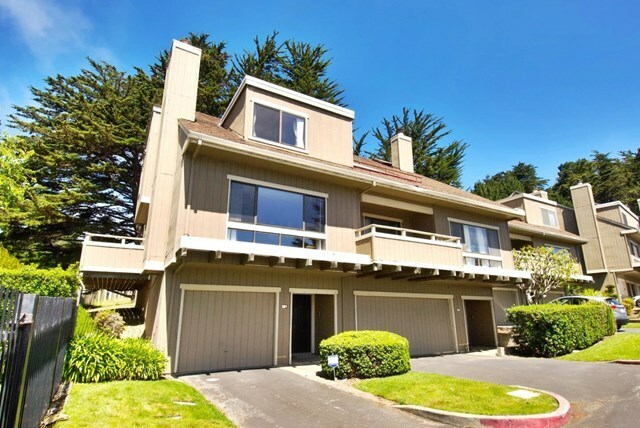 Easy access to HWY 280 for commute to San Francisco and Peninsula. A wonderful place to call home!